Our Expertise - William Baker Co.
You have a vision, but you need the perfect elements to complete your project. Our knowledge of new and unique products makes the difference in your end design. We understand that you need products that are both functional and look great with your design. We partner with architects, engineers and interior designers to come up with creative ideas and solutions for their designs. Our knowledge of brand new products and familiarity with manufacturers helps us assist you in making your vision a reality. When you work with William Baker Company, you can be assured that your products and design meet your exact specifications and are easy to install. Whether you’re looking for education on new products, creative solutions, or just want to see samples of products at no charge, we’re here to help. ARE YOU AN ARCHITECT OR DESIGNER LOOKING FOR PRODUCT EXPERTISE? You need a partner you can trust to help you meet deadlines and budgets. Our knowledge of delivery timelines and product specifications makes the difference in getting your job done right. We understand that you need products that will arrive on time and keep you within your budget. We pair with general contractors and sub-contractors to help them find quality products that meet their job requirements. Our knowledge of product delivery times and specifications helps us assist you in getting your project done right. When you work with William Baker Company, you have a partner you can count on. We provide timely estimates, assist in preparing and editing specifications, and help process your orders–saving you time and headaches. ARE YOU A CONTRACTOR WHO WANTS QUICK ANSWERS AND SOLUTIONS? You’re putting your own money into this project and need quality products that will last. Our knowledge of products and pricing makes the difference in your project’s ROI. We understand that you need quality products that will last and keep you within your budget. We pair with building owners, developers and property managers to help them find the right products that meet their building requirements. Our knowledge of what to do and what not to do, helps us assist you in getting your project done right the first time around. 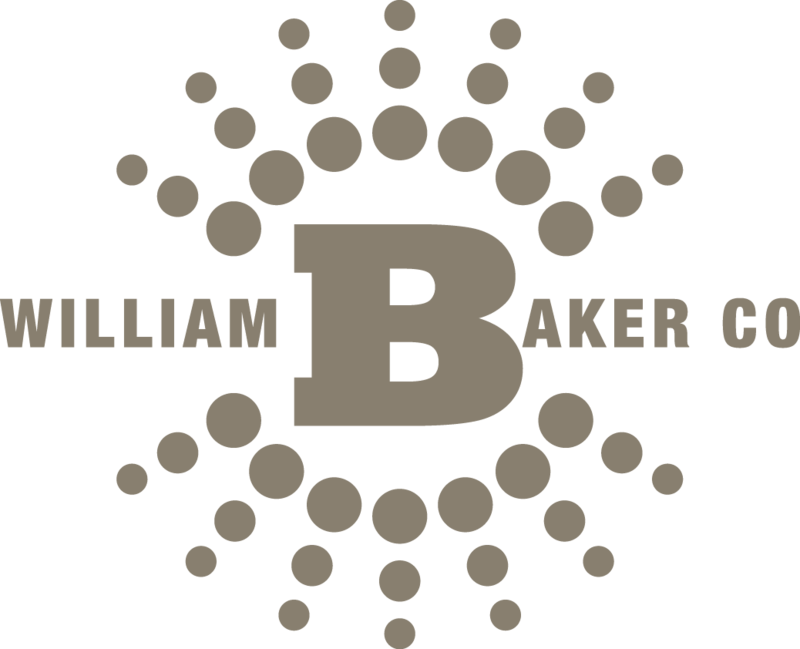 When you work with William Baker Company, you have a team with 45 years of knowledge and experience. We are available throughout your entire process, educate you on our products and provide timely estimates. When you are investing your own money, you need a team of experts that represents the best manufacturers in the business. ARE YOU A FACILITY OWNER WHO NEEDS LONG-LASTING BUILDING MATERIALS?